 The 54 on Bath hotel in Rosebank has a selection of conference facilities including a choice of five venues which can accommodate between 6 and 120 delegates. These venues are ideal for presentations, conferences, product launches, training sessions and other events. We pride ourselves on attention to detail and intuitive service, assuring you or your client of a successful event. Whether you require a professional venue for hosting a conference, a cocktail party, wedding or birthday celebration, 54 on Bath’s function venues can easily be adapted to the needs of your clients.